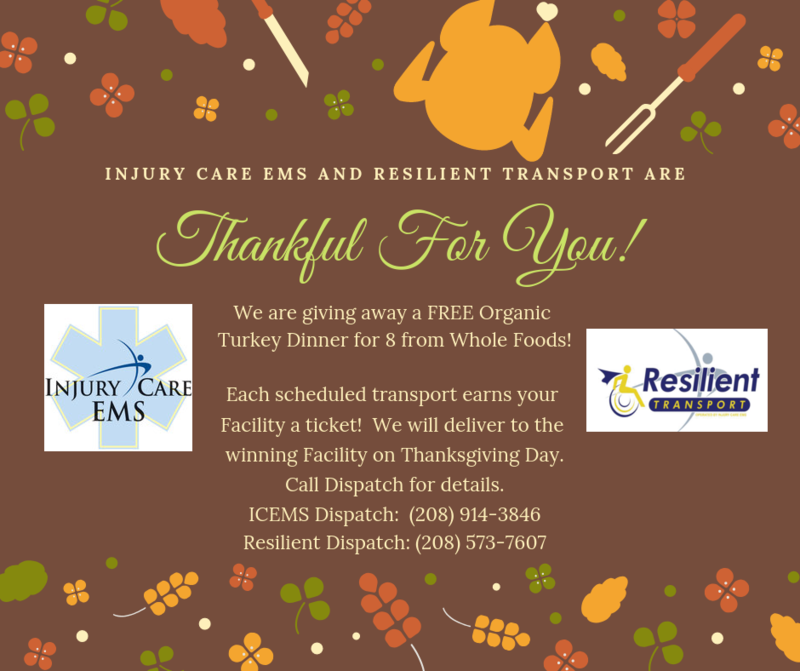 Injury Care EMS and Resilient Transport are giving away a FREE Organic Turkey dinner for 8 from Whole Foods! We are so thankful for the continued support of all the Facilities in the Treasure Valley. This year, we’ve decided to give back in the form of a delicious dinner! Each scheduled transport earns a Facility a ticket. Our friendly neighborhood medics will deliver the meal to the winning Facility on Thanksgiving Day. If you have any questions, please call our Dispatch for additional details. Or, call us to schedule a transport and get a ticket!